Because there’s a potential for conflicts of interest with dual agency, all parties must give their informed consent. In many states, that consent must be in writing. Here at Apple House Realty, we do NOT practice dual agency. We believe that if you hire us to work for you, then we should ONLY be working for you! You will never have to worry about who your Realtor is representing - or if they are just trying to make a deal go through to get paid. We feel that representing both parties would be equivalent to one attorney representing both a husband and wife in a divorce. And that doesn't make sense! 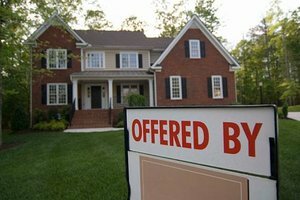 If we're trying to sell your house and get the most amount of money for it, how can we equally represent a buyer who is trying to get your house for the least amount of money possible?